Not sure if this has happened to you or not, but chances are it has. Most everyone I know has lost their internet connection at least once. The story is usually the same…”oh my goodness, what do I do? My internet is out…I do not know what to do!” The reaction is usually that of despair, as if they just lost something of great value. I smile, searching for higher meaning. We could say we are to disconnect or exercise patience…or we are merely to learn how to handle the suffering that comes from our lack. Regardless of the lesson, the truth remains. We are riddled with suffering over something taking control of our lives. Does our life end because internet connections are lost? Not at all! 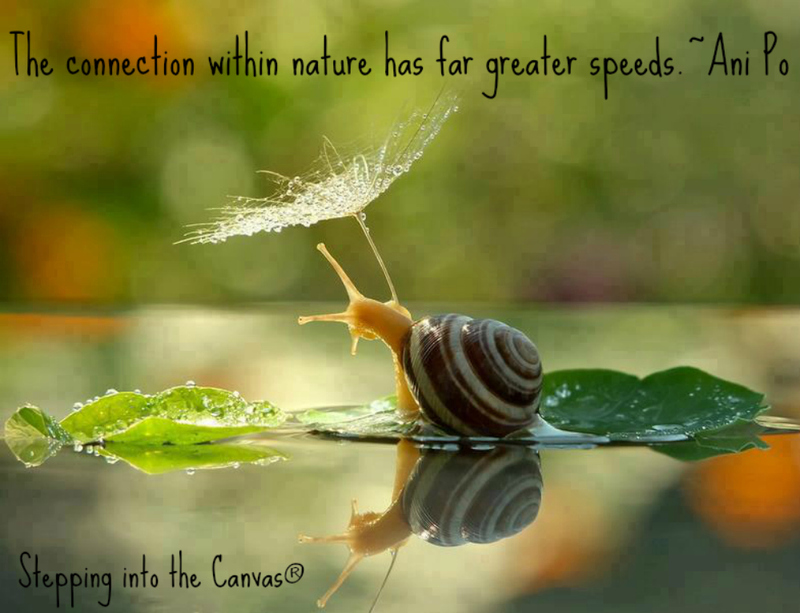 Nature’s invitation is to reconnect with a greater internet speed…that of nature. No lost emails, no slow loading pages, no wifi outages, nope…nothing. The connection is always present, inviting us to connect with higher speeds. Stepping into the Canvas disconnecting, only to reconnect. Connecting with faster internet speeds, we have infinite resources at our disposal. Imagine walking along the shores of an ocean or favorite lake. Setting out to merely get away, escaping monotony of our day. It may take a few minutes to reach the desired location or it may have taken longer to get to our favorite spot. Nevertheless, upon arrival, something happens…a sort of overwhelming peace begins taking hold of thoughts and memories of the day. Losing ourselves to thoughtless thought, we begin our search for that ‘right’ stone or something of rare beauty. 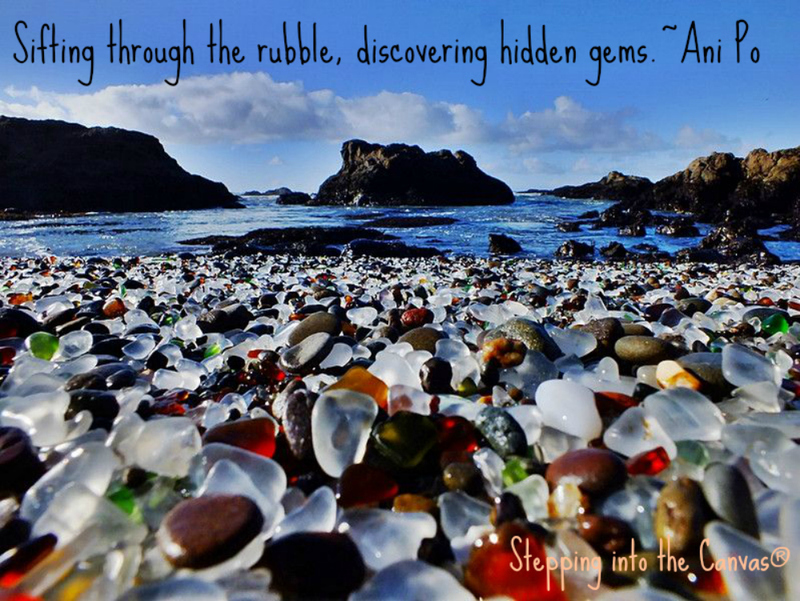 In this moment we are caught sifting through pebbles upon the shores. Admiring the beauty and individuality of each stone, there still remains desire for a continued search of hidden treasure. There are pointy stones and smooth ones, elongated and rounded, flat and oddly shaped…all of them unique to their own self. With each stone noticed, their beauty begins to rise over entirety of the lot. Each one more beautiful then the rest, whether sharp or polished from the sea bed floors. With every tide there remains further potentiality of more polishing of a beautiful gem, finding it even more of a treasure. What was once dull or jagged, is now smooth and polished. Literally sitting on the shore sifting through rubble, discovering hidden gems of Sea glass and/or polished gemstones or inwardly sifting through personal rubbish, finding hidden treasures within. We can find beauty within the Canvas of Life or we can find our own beauty within the canvas of life. As we seek outwardly, looking inwardly…reflecting on many examples within the Canvas of Life. Seeing the hidden beauty of each stone that surfaces, reflecting back at our own hidden beauty of self. Through outward evaluation or inner gaze…we come to similar conclusions…we are that hidden gem.